The Ripper seems too obvious, Fear City? When in doubt, I always go with my fail-safe answer: Breakin’ 2: Electric Boogaloo. There’s a 99.9% chance I’m wrong, but damn if it isn’t fun to say. One of these days, you are going to be absolutely correct with that one. With the Ripper video game death reference I will guess Brainscan. Oh, but reading up on Brainscan from above…yeah that’s more likely. Mindripper AKA: Hills Have Eyes 3? Curse of the Faceless Man! 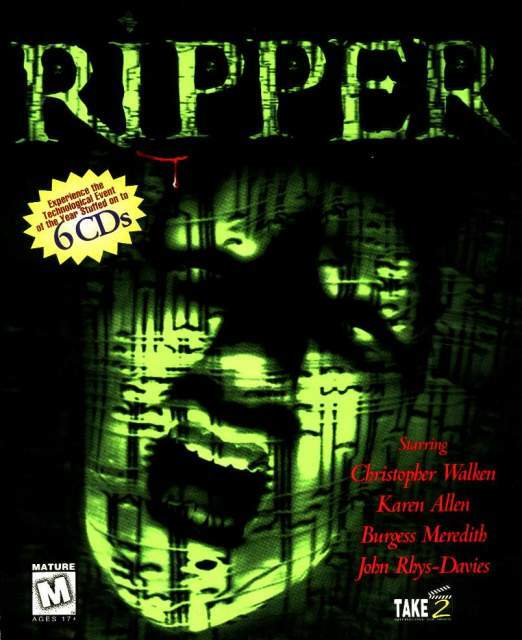 I hope you don’t “MIND” this picture of “RIPPER”. Ding ding! You figured it out! I had no idea there was even a Hills Have Eyes 3. Looking at IMDB, I see a movie called Wes Craven’s Mind Ripper aka The Outpost. Looking forward to this episode, because it is very rare that I see you do a review of a movie I haven’t already seen, much less haven’t heard of. Looking at the trailer though, I don’t see even a remote similarity to any of the Hills Have Eyes movies. why would you give hints to other people…this is a contest if they can’t get it to bad for them! Well, its not really a contest its just for fun. I give out hints for each weeks episode and everyone guesses. So its kind of like “Whose line is it anyway” where everything is made up and the points don’t matter. Maybe one day if I get sponsored and get stuff to give away I’ll actually have some prizes but for now, its just for fun.